Solomon's Cave - Where Is Solomon's Cave Located? 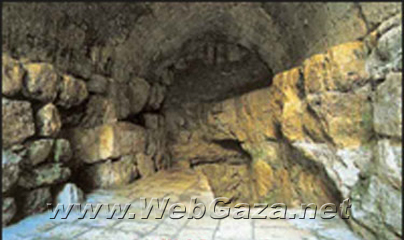 Solomon's cave is a 200 m cave under the city wall on Sultan Suleiman's street between Damascus and Herod's Gates. Just outside the walled city, opposite the cave, is what is believed to be the quarry of King Solomon. It is now used as a bus station for East Jerusalem. The cave is also known as Zedekia's cave, allegedly used as an escape route to Jericho by King Zedekia (597 - 587 BC) as he fled from the Babylonians. The cave is well lit with steps descending deep under the old city, and is an interesting experience. The site is open daily from 08:00 - 16:00 except for Fridays from 08:30 - 14:00 and closed on Saturdays.